Drunk driving fines in Russia may reach $32k | Russian Legal Information Agency (RAPSI). MOSCOW, October 22 - RAPSI. People who drive under the influence of alcohol should be subject to a heavy fine of up to 1 million rubles ($32,340) in major cities, said First Deputy Prime Minister Igor Shuvalov. A bill on increasing the severity of punishments for drunk driving is currently pending at the State Duma. At the moment, drunk-driving is penalized by revoking drivers' licenses for 1.5 to 2 years. The amendments will increase this to three years and impose a 50,000 ruble ($1,616) fine. If an individual who has previously had his or her license revoked is again detained for drunk driving, the current penalty of 15 day arrest will not be applied; instead, the individual may either be sentenced to three years in prison or community service. 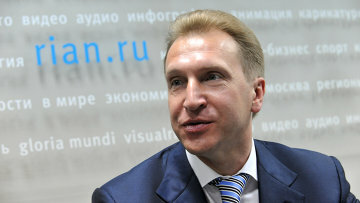 Shuvalov said that the situation on Moscow roads had only got worse in the last 1.5 years and that is why he believes it is necessary to think of all legislative measures possible in order to resolve the matter. The issue of increasing the severity of punishment for drunk driving was raised again in Russia after a terrible accident occurred in Moscow, where a drunk driver rammed into a bus stop and claimed the lives of seven people. 10:42 22/10/2012 People who drive under the influence of alcohol should be subject to a heavy fine of up to 1 million rubles ($32,340) in major cities, says First Deputy Prime Minister Igor Shuvalov.